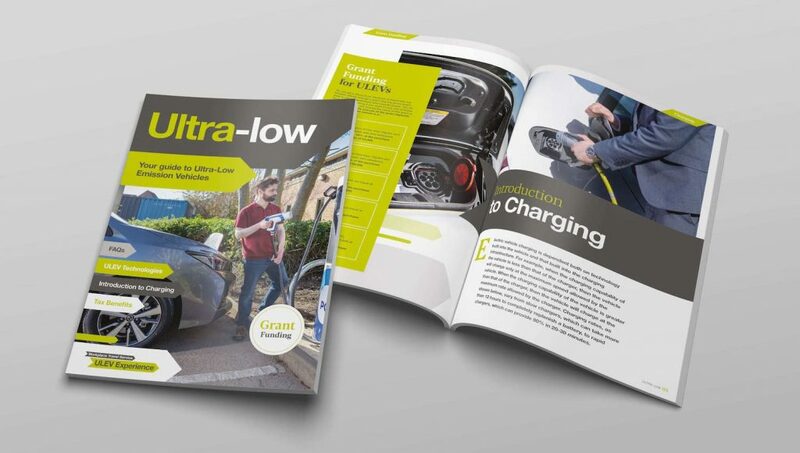 Nottingham’s ULEV Experience has launched a Guide to Ultra-Low Emission Vehicles (ULEVs) which provides answers to common questions asked by businesses looking to make the change to electric cars and vans. Many local companies are already making the switch to ULEVs and are beginning to enjoy the financial benefits. The ULEV Experience programme has identified that 384 ULEVs could potentially be adopted within Nottingham businesses, saving a combined total of £127,400 per year in running costs and 450 tonnes of CO2 emissions. An ultra-low emission vehicle is a car or van that emits 75g/km CO2 or less and includes pure electric vehicles, range-extended electric vehicles and plug-in hybrids (PHEVs). The latest electric vehicles include models with driving ranges of up to 300 miles or more. Further business support is also available in the form of a Workplace Travel Service grant of up to £25,000 to support sustainable transport initiatives including workplace charging infrastructure.